Insider-Search.com is a Certified Google Partner and Bing Ads Accredited Professional? What is that and how can it help my businesses? We regularly get asked what an AdWords Expert is, which typically means the questioning party has not heard of Google’s flagship paid search marketing program (also referred to as ppc/pay per click) AdWords. For more on Google AdWords, visit the source itself, Google. Assuming you know what the AdWords program is, does, and attempts to accomplish in terms of a business marketing solution, we can then explain the classification of a expert or Certified Partner. 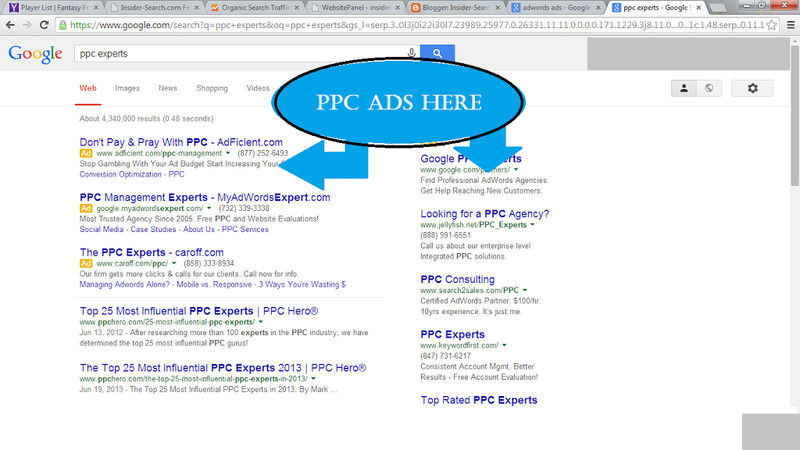 Both the Bing/Yahoo and Google AdWords PPC programs have their own expert classifications. To become a Google Certified Partner, one must pass 2 Google sanctioned exams, display “best practices” within linked and active AdWords program, and satisfy a budget spend requirement. Bing/Yahoo’s requirement is solely based on exams. Make sure your marketer is keeping these basic, but necessary qualifications current as the starting place for your due diligence on their background as your marketing consultant. Experience and years in this relatively new field is also a key indicator. Categories: addiction rehab, addiction rehab marketing, adwords expert, adwords professional, affordable ppc agency, local ppc consultant, local ppc expert, and ppc consultant.